Elsa spent a year on this journey, with Myrnah, a 5yr old wild Mustang off the range, no tools, or ropes, just the two of them and the language they developed together. She didn’t know if it could be done. 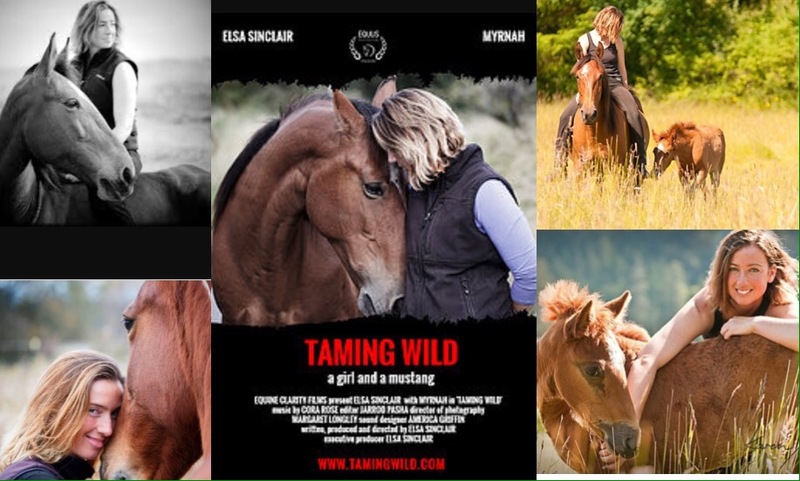 Check out Elsa’s website www.tamingwild.com, to be transported into a world of inspiration, where anything might be possible, with just the right approach. I am so pleased to be able to offer you a unique opportunity to gain a better understanding of your horse and how horses bond and communicate. Through this revolutionary training system, you will gain a much stronger way of communicating with your horse, opening up endless possibilities. Day one will focus on a broad overview of leadership, collaborative understanding with horses and a securing of a foundational relationship between horse and human. Day two will bring together the nuts and bolts of how we read, respond to and collaborate with our horses as we develop the depth of relationship we want and work toward common goals. The are 6 spaces available for owners and their horses. €25 for one day or €40 for both days, under 18s half price. We can accommodate any number of spectators so bring your friends! We will be outdoors, so please dress appropriately! Food is available to purchase on site, or feel free to bring a packed lunch. Mullingar Equestrian is a beautiful facility, with Mullingar town only a matter of minutes away offering food, shopping, hotels and B&Bs. You can purchase both participant and spectator tickets here. You can find out up-to-date info on the Facebook event page here.